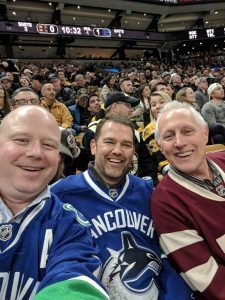 November 2018 Newsletter | Brad Brain Financial Planning Inc.
Black Friday Sales: Today is Black Friday. I got up at 6:00 am because I wanted to get down to the local sports store and pick up some bargains. I hate getting up early, but I did it to save money. It makes sense to buy stuff you need when it goes on sale. Meanwhile, the share price of wonderful businesses has gotten cheaper over the last few weeks. You might be interested in this article: ‘The Big Blockchain Lie’ by Nouriel Roubini. Last month I wrote about how important critical illness coverage on kids can be. Check out this interview with Avagail Carnate and then call us to discuss further. Registered Disability Savings Plans are fairly complicated, but they are exceptionally interesting. Rather than trying to explain it in this space, if you or a dependent is under age 60 and qualifies for the Disability tax Credit, just call us and we see if there is a planning opportunity here for you. 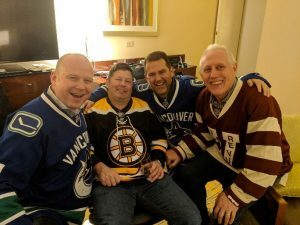 Mixing pleasure with business: Recently I was in Boston for a conference. 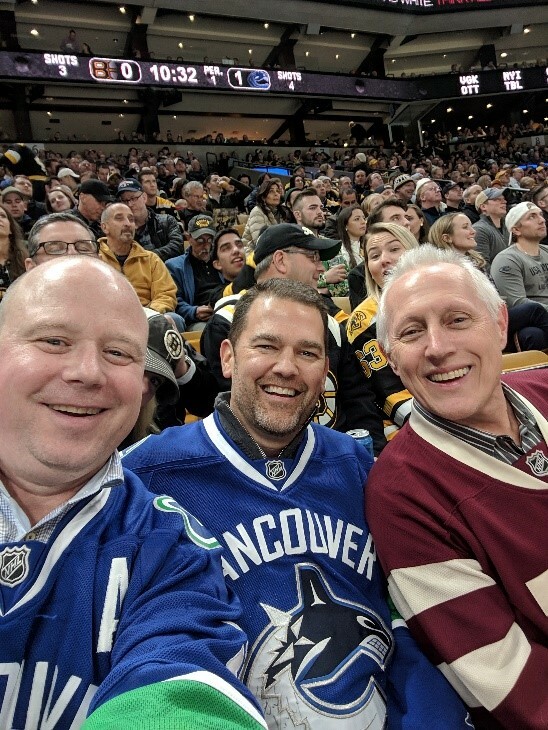 A few of the boys from BC had some fun watching the Canucks squish the Bruins 8-5. Good times, and I brought back some good ideas to see if we can enhance your experience working with us. We tend to focus a lot of our conversations on the investment and insurance aspects of Financial Planning. That’s natural, as that is where our expertise lies. But let’s not forget how important debt repayment strategies are, especially if interest rates keep rising. A relatively painless way to reduce your monthly expenses is to have a second look at the way you’re managing your debt. Over time, many people will end up taking out a variety of loans for different purposes. These can include things like credit card debt, car loans, home renovation loans and, of course, the mortgage. And if you have more than one loan, you’re most likely paying a different interest rate on each loan. One of the easiest ways to reduce your monthly interest costs is to consolidate your debt at the lowest rate. Typically, your lowest-rate debt will be a loan that is secured by an asset, such as your home. If you have sufficient equity built up in your home, consider switching to a product that allows you to access your equity, such as a home-equity line-of-credit. Then, use this line of credit to repay your higher-interest loans. In this way, you’ll be bringing all of your debts together into a single account, at a single rate. Some line-of-credit products even allow you to track debts separately within the account so you can continue to keep track of interest costs and repayment separately. Not only will debt-consolidation save you interest but it will make it easier for you to keep track of what you owe and how you’re progressing in paying it down. If you’d like to learn how to reduce your monthly interest costs, give me a call and I can discuss some options with you. Feel free to pass this information along to your friends and family. If there is anything that we can do to be of service, please let us know.